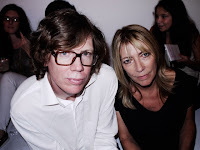 At some point in 2011, word came that Sonic Youth members Thurston Moore (gtr/vox) and Kim Gordon (bass/vox) - married for nearly 30 years - were getting a divorce, and the future of Sonic Youth was in doubt. For privacy reasons, little else was revealed. For an entire generation of Sonic Youth fans (myself included), this seemed almost unimaginable. Thurston and Kim splitting up?! Never! It shattered a lot of punk and indie fans world view. I mean, if punk rock's most celebrated couple couldn't stay together, how can any mere regular person's relationship last? I've met Thurston a time or two over the years, but do not, in any way, know him. I've never met Kim. But, I have been listening to Sonic Youth's music since 1989. I feel like I know them. So, when the word of the break up came out, I felt a touch of sadness. Sadness for them, of course, and sadness for their daughter; but, I also felt sad my generation of music fans. Few bands have been as significant to the music of the last three decades as Sonic Youth. Even bands that haven't heard of Sonic Youth have been influenced by them. 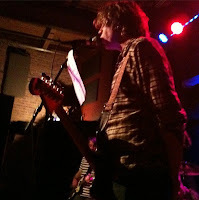 So, the end of Kim & Thurston seemed like an end to the music of my era. It almost seemed tainted. I know I am taking this too far, but it shocked a lot of people my age. Since the 2011 announcement, virtually nothing has been written that detailed exactly why the more than 30 year relationship ended. No one who knew was talking. Well, that has changed with a recent interview with Kim Gordon in Elle Magazine. The article sheds light on what Kim has been up to since the last Sonic Youth tour, and what her plans are for the future. She also delves into some details about the end of her marriage. "We seemed to have a normal relationship inside of a crazy world," Gordon says of her marriage. "And in fact, it ended in a kind of normal way—midlife crisis, starstruck woman." 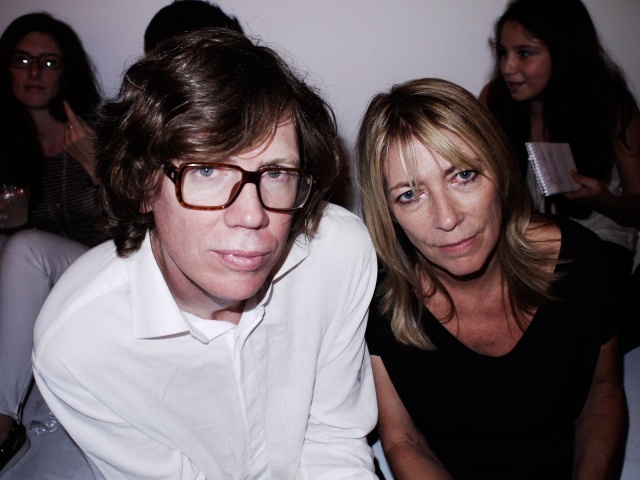 Some years ago, a woman Gordon declines to name became a part of the Sonic Youth world, first as the girlfriend of an erstwhile band member and later as a partner on a literary project with Moore. Eventually, Gordon discovered a text message and confronted him about having an affair. They went to counseling, but he kept seeing the other woman. "We never got to the point where we could just get rid of her so I could decide what I wanted to do," Gordon says. "Thurston was carrying on this whole double life with her. He was really like a lost soul." Moore moved out. Gordon stayed home and listened to a lot of hip-hop. "Rap music is really good when you’re traumatized," she says. Wow. One can assume that infidelity might have been a reason for the split, but it was not my first guess. I assumed that after more than 30 years of marriage, and being in a band together, they were just sick of one another. That's totally understandable. Their daughter is now in college, so it seemed like the right time for that sort of thing. But the truth is pretty disappointing, I must say. To add insult to injury, Kim was also diagnosed with a mild form of breast cancer. She is fully recovered. The article did not address the future of Sonic Youth. Both Thurston and Kim have new bands. Guitarist Lee Ranaldo has a new solo album out, and drummer Steve Shelley has his own projects. No one seems to know what the band's status is. Ordinarily with a band together for 30 years, a break up is almost welcome news (think R.E.M.). But with Sonic Youth, that is hardly the case. Their most recent album, 2009's The Eternal, was amazing! It was a continuation of a serious creative hot streak the band has been for the last few albums. The band did not have to end. Maybe it hasn't, but in light of these recent revelations, the future does not look good. I caught Thurston's new band, Chelsea Light Moving about a month ago. They were quite good, and I enjoyed seeing Thurston in a smaller venue. Lee's record was pretty good, and I haven't heard anything new from Kim yet. As good as these separate projects are (or might be), I'd still rather have Sonic Youth back.